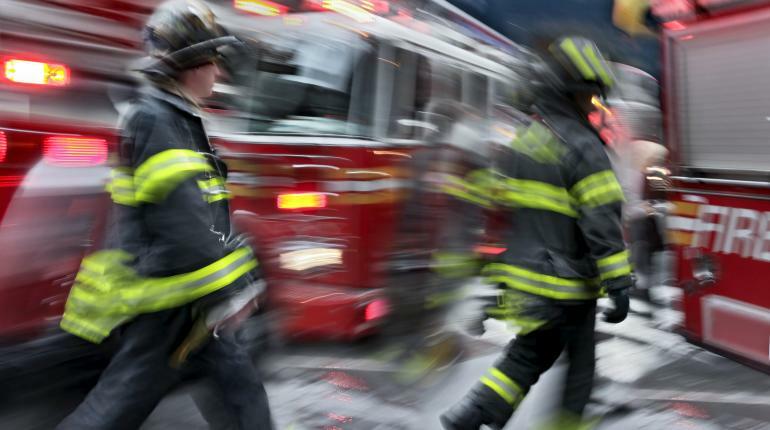 More than 80% of Firefighters in the U.S. Are Overweight or Obese, But What’s Being Done? The main purpose of the Centers for Disease Control’s study was to determine whether firefighters were receiving recommendations from their health care providers regarding their weight and whether they needed to gain weight, lose weight, or simply maintain their current weight. The study found that 69% of them, despite having visited their physician in the last 12 months, received no recommendations or advice. This is especially problematic, considering that data from earlier this year by Johns Hopkins University found that cardiovascular problems are the leading cause of death (45%) for active duty firefighters. They attribute that staggering statistic to the high stress factor of the job and poor lifestyle habits surrounding it. What can be done to reduce obesity in our first responders? That’s tough to say, claims Dr. Sue Day, author of the CDC’s report. She says the biggest change that needs to be made is the implementation of better guidelines to maintain health and change behaviors. Even still, the guidelines aren’t laws, and fire departments nationwide are known for being very lax when it comes to enforcing them. Part of that may be because 70% of fire departments in the United States are made up of volunteers who choose to be there and that by implementing and enforcing stricter guidelines, “up to half” may just not show up. In the U.K., a policy was implemented two years ago that requires police officers to submit to an annual fitness test. If they don’t pass three consecutive tests, they face an 8% dock in pay. At that time, 65% of their force was overweight or obese, nearly 15% lower than firefighters in the U.S. Looking at other first responders, a 2019 study found that 40.5% of U.S. police are overweight and have a greater risk of cardiovascular disease, suicide, and colon cancer. A study in 2019 found that 44% of new EMS recruits were overweight and 33% were obese, accounting for 3 out of every 4 new personnel. Clearly, something must be done to help protect our emergency responders — those volunteering and those who draw a paycheck — before they find themselves in need of the same emergency services they dedicate their lives to providing. One retired fire chief, Kevin Quinn, found that giving healthier food choices in the firehouse helped reduce the weight of his crew. Instead of ordering pizza during department meetings, he started bringing fruits and vegetables. He also started sending some of the younger members to conferences focused on firefighter health and fitness. As part of the initiative, they’ve also seen a decline in smoking and alcohol consumption. Quinn now works for the National Volunteer Fire Council, a nonprofit organization representing the interests of volunteer fire, EMS, and rescue services. Mike Beauchamp is our resident technophile, sifting through latest and greatest tech news and developments to fit your lifestyle. Follow Mike on Twitter for more great tech insights and good conversation. You can also keep up with Mike on his personal blog, or on Google+.